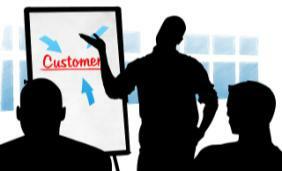 Customer Service is another department that is a child of 20th century mass communications. The subspecialty in Management & Leadership of Customer Service Management is a very rewarding practice area for those drawn to understand and anticipate ever-evolving customer needs and expectations, and create positive experiences for the customer. The rapid growth of web, mobile, and logistics and customer service automation technologies are enabling much improved customer relationship management (CRM). This is often segmented into better customer experiences (product/service fit, communications, feedback, responses), customer support (installation, training, troubleshooting, repair), and customer satisfaction (surveys, observations, inference). As business innovation and responsiveness grow, the customer has entered a “new normal” of ever-rising expectations, in their interactions with both online and offline companies. In the mid-2000s, freemium pricing strategies became the standard expectation for many web-driven services. For more, see Anderson’s Free (2010). Often, the first level beyond free is a low annual payment that provides additional perceptively free benefits. Amazon Prime’s free shipping for Prime members ($79/year annual fee) is an example, creating the expectation that top merchandisers should now offer their premium customers “free” shipping and other benefits (in this case, Amazon Instant Video and Kindle Lending Library). As both Google and Amazon now experiment with same day delivery, we can expect increased pressure on slower competitors. Offshore call and support centers are also creating many new competitive pressures in customer service. First India in the 1990s and 2000s, then the Philippines in 2010 became the largest offshore call center country for US companies. Customer feedback management platforms (Engage, Mindshare) along with AI agent emulation and call center automation platforms (NextIT, Interactive Intelligence) are allowing better service at lower cost than human operators. Once the AI agents get sufficiently fast and accurate at simple tasks, they are often preferred over human chat agents, just as ATMs are preferred over human tellers for simple transactions. Even long-distance video customer service almost works well today. See Open English for one company that relies on intercontinental video chat to teach English. All this pressure to improve and personalize customer service at scale will continue to create winners and losers in the marketplace. Tony Hsieh, CEO of the online shoe company Zappos, offers a great summary of superior customer service as a core brand differentiation strategy in Delivering Happiness (2013).